Home › Jeffrey McCullough, Ph.D.
Jeffrey McCullough, Ph.D., is an assistant professor in the division of health policy and management at the University of Minnesota School of Public Health. Dr. McCullough’s research focuses on the role of technology and innovation in health care. His ongoing projects include studying the value of health information technology (HIT) and the welfare consequences of direct to consumer pharmaceutical advertising. He currently teaches health care finance and has also taught health system accounting and health economics. 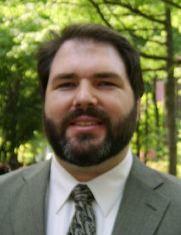 Dr. McCullough received his Ph.D. in health economics from the Wharton School at the University of Pennsylvania. Prior to joining the University of Minnesota, he was an assistant professor at the Medical University of South Carolina. Between 1998 and 2001, Dr. McCullough was the recipient of the National Research Services Award, granted by the Wharton Health Care Systems Department and funded by the National Institutes of Health to further health policy research. Dr. McCullough is currently the principal investigator for a HCFO-funded grant entitled “The Costs and Benefits of Health Information Technology: The Impact of Computerized Physician Order Entry.” This project aims to measure both the clinical and financial consequences of HIT, focusing on the role of computerized physician order entry (CPOE) systems. He and his team are using data from 1997 to 2007 to measure the direct value of CPOE, as well as the value it creates in conjunction with complementary technological and organizational investments. The researchers are using HIT data from the Healthcare Information and Management Systems Society (HIMSS) Analytics™ Database merged with the American Hospital Association’s annual survey of hospitals and the 100 percent MedPAR inpatient Medicare claims data. Dr. McCullough and his team have found that there is substantial selection bias in the adoption of HIT—essentially, high quality hospitals are early adopters. Their work has focused on correcting for this selection bias while measuring HIT value. Preliminary analyses provide evidence of a positive relationship between HIT and clinical quality. “Through this project, we hope to provide new insight into how HIT creates both financial and clinical value, while enhancing the empirical rigor with which that value is measured,” says McCullough.